Depending on the method or technology used for printing, there are two popular types of printing operations – Direct Thermal & Thermal Transfer. Accordingly, the stickers suitable for these two types are either direct thermal stickers or thermal transfer stickers. 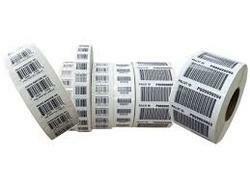 Being a client-centric firm, we have been constantly engaged in providing to our patrons, Thermal Barcode Stickers. Our company has achieved widespread recognition in offering Thermal Stickers to the clients. This product is manufactured using high quality basic material and cutting-edge technology under the guidance of skilled professionals. This product is widely used in grocery, electronic and food stores. 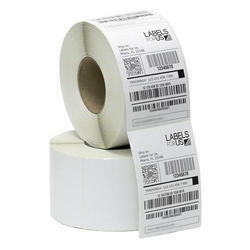 We are offering Thermal Barcode Stickers to our clients. Core Size: 1" - 3"
Being the leading names in the industry we are offering a wide assortment of Thermal Barcode Stickers. Our products are highly demanded and appreciated for their excellent quality and eye catching finishing.